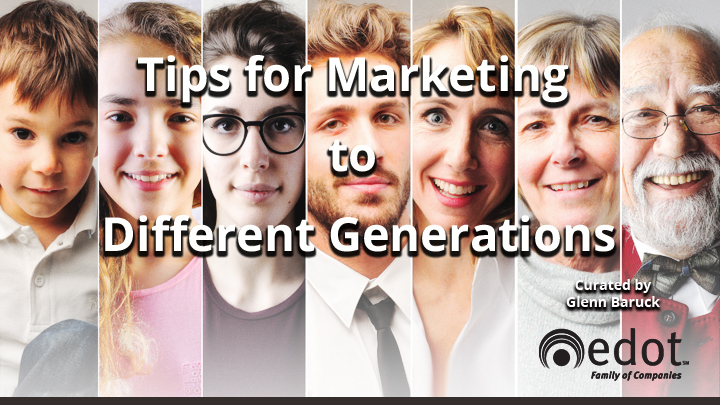 If your service or product appeals to different generations of consumers, then your marketing approach must as well. According to marketing experts, there are four generations of consumers, and all have value to businesses. Each generation has different generally accepted attributes, and they all need to be pampered in different ways. Check out this article by Kristen Bentley for smallbiz technology for the low-down on each generation and tips on how to best market to them. Just like everything else, security systems also get old. Security system technology is constantly changing and security is playing an ever-increasing role of importance in most organizations. 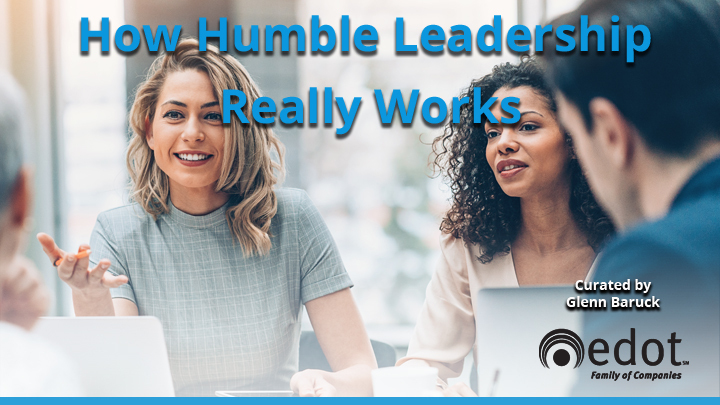 According to the experts, there are three main drivers compel an organization to upgrade or connect legacy systems. 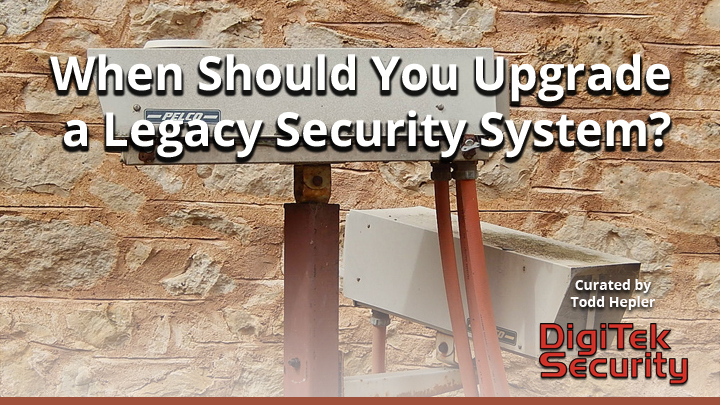 This brief article by Kami Dukes for The Security Industry Association provides insight into the recent changes in security technology and details how you should approach upgrading your legacy security systems. 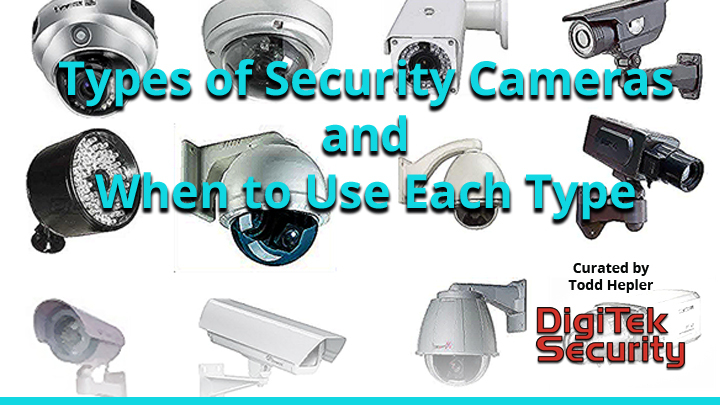 Surveillance cameras (AKA, security cameras and even occasionally still referred to as CCTV cameras) come in all different shapes and sizes and with many different capabilities and functional designs. Fixed, PTZ, Virtual PTZ, Box, Bullet, Dome, etc. the list is long and confusing. This article, by Cameron Walker-Miller for The Security Industry Association, does a fantastic job detailing the different types of cameras and their advantages/disadvantages. 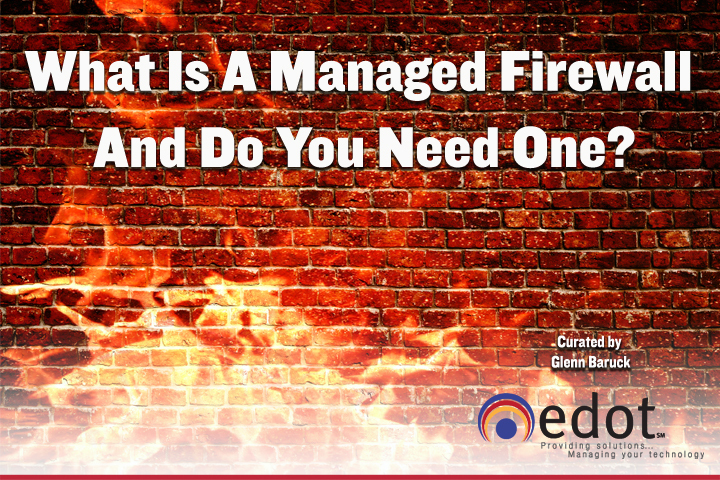 Read on and simplify your security decision making. According to technology experts, the fastest changes taking place in technology are cybersecurity threats. The cyber underworld is evolving and consolidating, according to the McAfee Labs 2019 Threats Predictions Report. “We have witnessed greater collaboration among cybercriminals exploiting the underground market, which has allowed them to develop efficiencies in their products. Cybercriminals have been partnering in this way for years; in 2019, this market economy will only expand. The game of cat and mouse the security industry plays with ransomware developers will escalate, and the industry will need to respond more quickly and effectively than ever before,” writes Raj Samani, chief scientist and McAfee fellow for advanced threat research, in an introduction accompanying the report. What does 2019 have in store when it comes to cyberthreats? 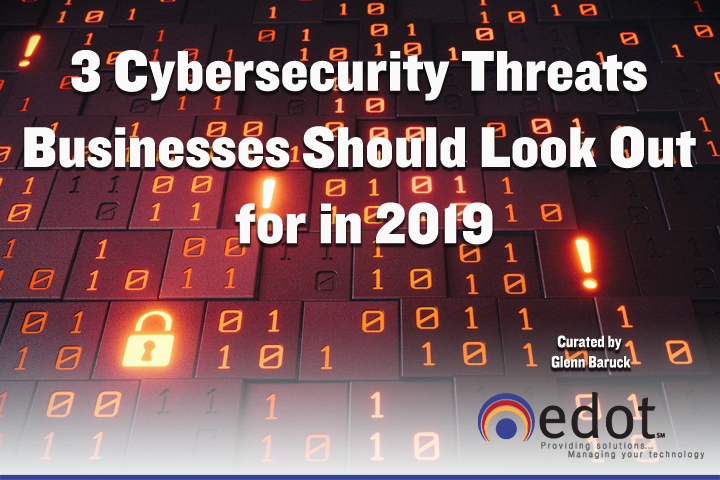 In this article by Juliet Van Wagenen for BizTech, you can learn about three security concerns/threats that all businesses should be paying attention to right now.